Homepage / Body / What is The Effect of Alcohol on the Body? What is The Effect of Alcohol on the Body? – The effects of alcohol on the human body can occur in many parts of the body, such as liver or even in muscles or skin. The duration of the effects of alcohol on the body is related to how long the liver takes to metabolize alcohol. On average, the body takes 1 hour to metabolize only 1 can of beer, so if the individual has drunk 8 cans of beer, alcohol will be present in the body for at least 8 hours. Loss of reflexes, loss of judgment of reality, alcoholic coma. In pregnancy, alcohol consumption can cause fetal alcohol syndrome, which is a genetic disorder that causes physical deformation and mental retardation in the fetus. From time to time, the scientific community releases new findings and conclusions about the effects of alcohol on our brain. Certainly, you have already gained the opinion of experts who believe that moderate consumption of some alcoholic beverages – such as wine, for example – may even bring benefits. On the other hand, some professionals criticize the intake of this type of product under the argument that alcohol is capable of killing the neurons. In fact, pure ethyl alcohol is able to kill our brain cells and many other cell types – thats what makes it an excellent disinfectant. But the Today I Found Out website points out that a study has shown that the amount of alcohol a person can consume (without killing himself, of course!) Is not enough for the substance circulating in the bloodstream to destroy the neurons. This conclusion is corroborated by a study by Grethe Jensen and his team (1993), which counted the neurons present in samples of alcoholics and non-alcoholics. What they found was that there was no real difference in the density or number of neurons present in the two groups. 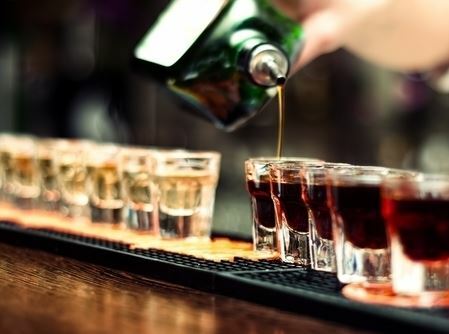 One possible explanation that the effects of excessive alcohol consumption are not felt quickly in the brain may be because we have a huge amount of these cells – about 100 billion neurons and a few tens of billions of glial cells that provide support and nutrition for the neurons. In addition, it is known that even with people who consume excessive amounts of alcohol for many years, simply stopping drinking is enough for the body to reverse most of the damage to the dendrites and reestablish communication between cells. Another side effect of in managing large amounts of alcohol is that – although the substance will not destroy its neurons – it is able to inhibit the growth of new cells. As with dendrites, research on mice has shown that when the product stops being introduced into the body, new cells are re-formed. However, if the individual does not pause for the body to recover, drinking too much and regularly can cause permanent damage to the brain because of the lack of new cell growth over extended periods, but science has not yet delved into that. The conclusion we can draw from all this is that we still need to do many studies to determine other consequences that alcohol can have on the human brain. Even though neurons do not die from excessive consumption of alcohol, only the risk of damaging cells or preventing the growth of new neurons should be alarming enough for all of us to seek restraint at the time of drinking. How Long does it take Acupuncture to work? Next post Is Sour Curd Good for Health?